Sonny Shields has over 40 years of experience in construction industry contracts and litigation; construction law; surety law (primarily construction contract bonds); insurance defense (including CGL, first party property and architects’ and engineers’ errors and omissions coverage); products liability; zoning and planning law practice, including administrative hearings; real estate title research; patent, trademark and copyright prosecution and litigation; and general litigation, including appeals. For over 25 years he has been an adjunct professor at Loyola Law School on the subject of the Louisiana Code of Civil Procedure and at Tulane Law School on the subject of Historic Preservation Law. 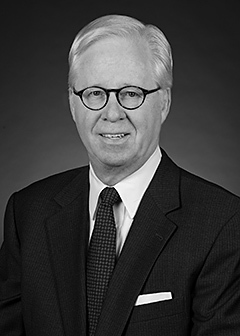 Sonny has delivered more than 200 papers on subjects ranging from negotiation and mediation skills and practices to numerous aspects of construction and surety law.